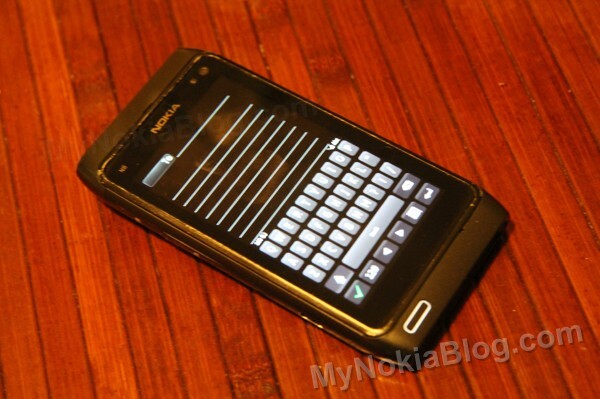 It’s over a week now since the first wave of Symbian Anna Updates was officially released. Then on Monday, N8 users had a special camera update. (Note, the majority of S^3 users have received the update, more waves of updates are rolling out, with some users from USA reporting getting the update this week). What has been your reaction? I finally got the update yesterday, OTA for my Nokia N8. It was pretty effortless, just a slight hitch at first with some things just not responding (I think it was sleep screen) but a restart fixed it. This maybe what’s causing “Phone Set Up: Feature not supported” at every start up. Just as I found with Anna on E6, Anna makes the N8 much nicer to use. Everything is jut that little bit faster, a little bit more stable, so much more appealing for me to use (especially coming from Windows Phone, PR1.2 just wasn’t cutting it). It’s easy to understand how folks who have put unofficial Belle would be even happier with a revamped UI. But that’s a few months away now. I’m liking my split screen keyboard, but not the lack of multitouch. It prevents me typing at the full speed at which I can type on my Windows Phone keyboard (which is just as fast, if not faster than I could type with E6/N97/E7). Also, split screen isn’t consistent. Sometimes it’s there (messaging, browser) sometimes it’s not (Ovi Store). Speaking of Ovi Store, Anna seems to have fixed the annoying “Network Error” bug that prevented app download every now and again. Portrait QWERTY is much too small for my big thumbs, especially as I don’t think it has any special software that increases the range for predicted successive letters. But this is where portrait swype comes in. I don’t know what took so long, but swype in portrait is now here, and this is the version of swype needed all along (not freaking landscape swype). Unfortunately not split screen when in Swype mode. The browser is better, but I find it’s still too limited (and anything could have been better than the crap that came with S^3). It still chokes on heavy websites, slowing down quite heavily. Furthermore, three tabs just isn’t enough. It would help if it could open new links just replace the last used tab, but instead you error that you have a max number of windows open. When you have swype, because there is no split screen, there’s no way to bring up the search option on the address bar. Really, when you type words on the nav bar and click enter, it should automatically just search. It should need to rely on you whether to place URL or keyword searches. This was rather annoying. My emails are usable again. I used to have some awful retrieval times after opening my mail to the point I don’t bother opening mails from N8 as it takes too long to open it. Lack of out of the box sync in Calendar still makes it hard for me to use it. Social? Facebook and Twitter? The less said about this the better. Camera with Beta Labs update? Continuous Auto Focus has been working brilliantly, it’s pretty fast and can go very close. This fits my needs for continuous AF during mobile App reviews. Unfortunately I would need another N8 to record. 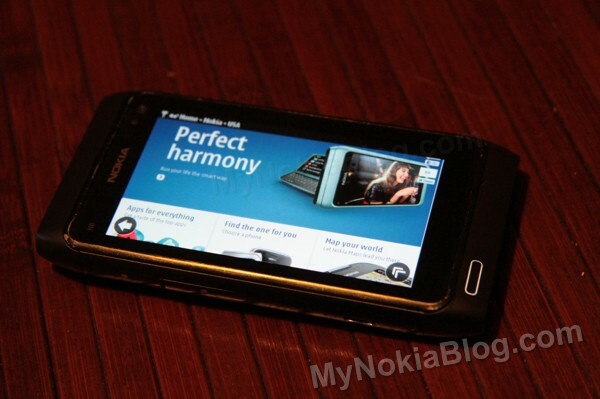 But future demoes can be done quickly on the fly just with N8 now. No clunky DSLR or even pocket cam needed. My only issue is colour accuracy of bright AMOLED screens – this is the only situation I’ve found it to falter (which is fine for 99.9% of users who would not be wanting the N8 just for app reviews, no). What’s great and possibly taken for granted is the quiet nature of the continuous AF. Check out the collection from day 1. Note, these first batches were not in full 30FPS, though CAF was active.